Provide comfort for the family of Melvin Long with a meaningful gesture of sympathy. Melvin J. Long, 75, formerly of Lewistown, passed away at 12:50 p.m. on Monday April 1, 2019 at Locust Grove Retirement Village, Mifflin. Born November 22, 1943 in Lewistown, he was the son of the late Melvin J. and Betty (Carson) Flanagan. In addition to his parents, he was preceded in death by sisters, Peggy Banks, and an infant sister, Shirley Long. Melvin will be remembered and missed by his wife, Rhonda (Knepp) Long, of Boalsburg, Children, Melvin J. Long, Jr. and wife Jennifer of Elizabethtown, Christine Lyman and husband Michael, of Beavertown, Jennifer Hoover and husband Jim of Yeagertown, Amy Bigelow and husband Tom of Lewistown, and Donald Long of North Carolina, Grandchildren, Jerred Long, Jessica Lyman, Michael Lyman, Brooke Arnold, Brittany Carson, Taylor Fox, Audrey Oestreich, Dylan Long, and 10 Great-Grandchildren. Melvin was employed at The Seven Mountains Water Company, and was a member of the Yeagertown Fire Company. A funeral service in loving memory of Melvin will be held at 2:00 p.m. on Friday April 5, 2019, at The Barr Funeral Home Inc. and Crematory, 120 Logan Street, Lewistown, with Pastor Randy Traxler officiating. There will be a viewing held from noon until time of service at the funeral home. Interment will take place in Lind Memorial Cemetery. To send flowers in memory of Melvin J. Long, please visit our Heartfelt Sympathies Store. Your Friends at TE... sent flowers to the family of Melvin J. Long. Jerry Long & Family... So So Sorry for your lose. 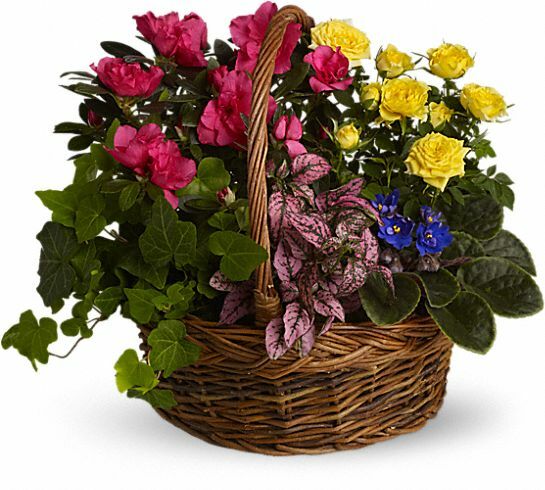 Your Friends at TE... purchased the Blooming Garden Basket for the family of Melvin Long.